Work smarter, not harder. When changing your sheets, begin by tossing your bed cover over to the opposite side (out of the way). Then place your clean fitted sheet and flat sheet on top of your bed, unfolded (at least the top sections of both). 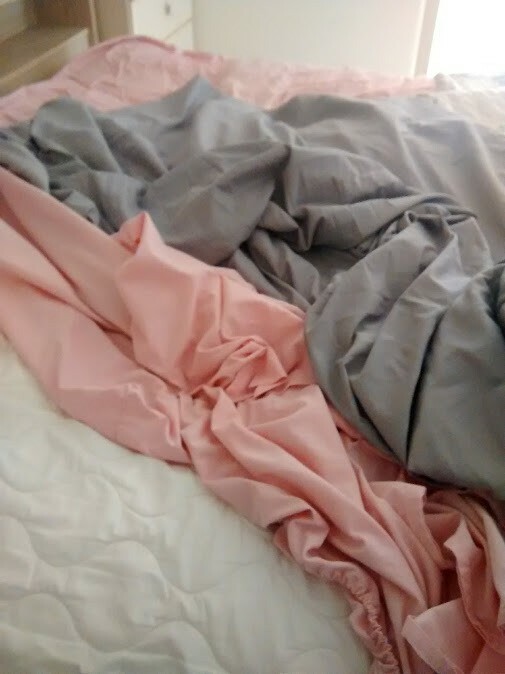 As you peel off the first corner of the sheets your changing, replace that same corner with the clean sheets, pocket first, then flat over the top. Continue down to the lower corner of the same side and do the same. 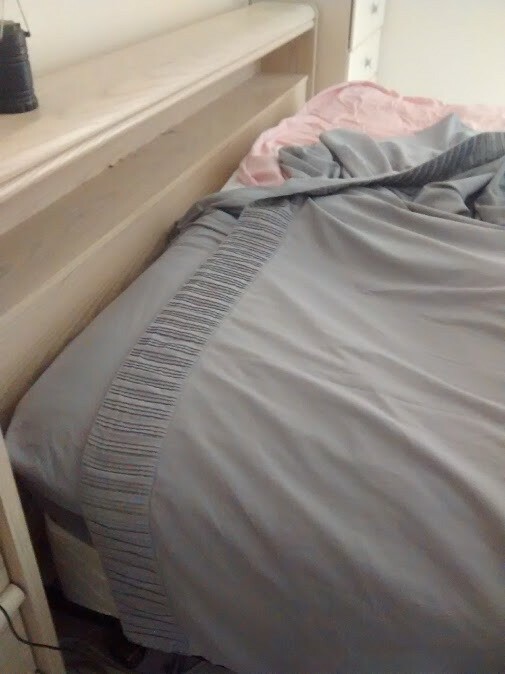 You will just be pulling your sheets to each corner as you go. When you get to the other side, just toss your bed cover over to the other side, out of the way. Continue to the opposite side corner (bottom), stripping your sheets and replacing them as you go. Straighten your bed cover and you're done. You could also put the bed cover over the flat sheet when you start. The idea is to save you a lot of time and walking around the bed numerous times. In the photos, I am replacing the pink sheets with the grey ones. I love this idea I have been using it all the time. Its saves a lot of going from side to side and find a place for you bed stuff. I worked in a hospital for years making beds. Remove all bed linen , then make up one side with clean linen then go other side. 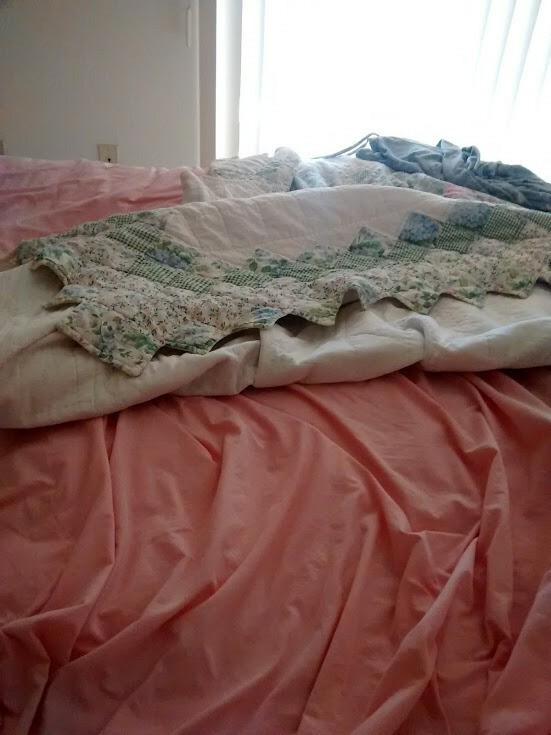 I like to remove the dirty sheets and take the corner of the mattress cover, unhook one corner and give the cover a good shake, pull all the corners tight and smooth the mattress cover. I let the bed air out while the sheets are washing and drying.